As of a report by IAMAI (Internet and Mobile Association of India), by June 2018 mobile data is getting used by more than 500 million users in India. Combining this with the fact that smartphone sales are going up in each quarter – a huge number of audience is waiting to experience your product and services. Digital advertising campaigns had been and are necessary for survival of many brands. In today’s competitive world knowledge of prospective consumer is as important as reaching to them first. You can easily target your local audience with the digital marketing experience of Eternal. As multimedia is the basic requirement of all the marketing campaigns, so is getting the multimedia in correct size. To start with, we are sharing the image and video guidelines for Facebook and Instagram advertisements update on October 2018. Stay tuned for more updates. 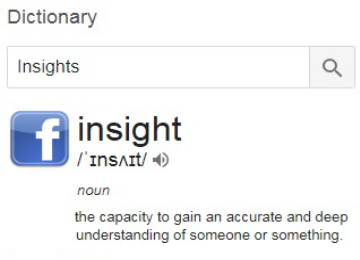 Facebook Insights is the easiest way to learn nature of your audience. It enables social media mar…..